When you are challenged by vein clusters or less defined spider veins, the Laser Essential & Skin Care clinic in Toronto provides treatment to help eliminate the problem. 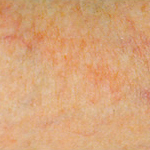 Spider veins are often fueled by factors such as heredity, obesity, occupations that involve a lot of standing, and hormonal influences, impacting nearly 30% to 60% of adults, often in women than in men, but no longer do people have to live with these unsightly blemishes. The Laser Essential & Skin Care clinic of Toronto offers Lutronic Clarity Laser therapy, a state-of-the-art system laser technologies to treat varying degrees of spider veins. 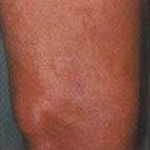 Whereas in the past men and women were forced to turn to debilitating surgical procedures to treat spider veins, the Laser Essential & Skin Care clinic offers a non-invasive technique with minimal pain and downtime. 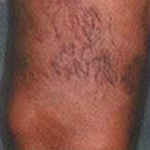 Lutronic Clarity Laser Therapy has successfully eliminated spider veins for thousands of patients worldwide. 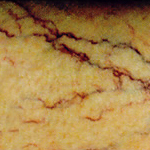 For clusters veins, the therapy typically requires numerous treatments. 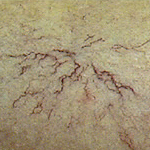 The course of treatment often extends over a period of months, during which time patients will realize a gradual disappearance of spider veins and the minor temporary discoloration that sometimes accompanies the laser therapy. 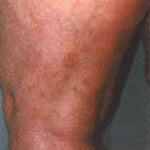 In cases of smaller veins, the results are sometimes immediate. How does Lutronic Clarity Laser Therapy work? Lutronic Clarity Laser Therapy, typically sends a small spot of laser light through the skin, where it absorbed by the blood within the vein. 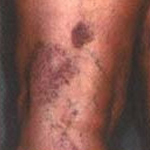 The heat coagulates or clots the blood, destroying the function of the vein. In time, the vein is absorbed by the body and fades from sight. 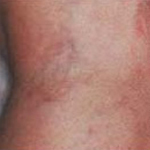 Patients often describe each pulse of laser light as “a slight sting” or “pinch” much like the snap of a rubber band. Topical anesthetics are available, but most patients do not require them. At the Laser Essential & Skin Care clinic, patients also benefit from the cooling effects of our Synercool Cryotherapy system, which blows a steady stream of cool air onto the area being treated. The Laser Essential & Skin Care clinic is one of a few clinics in Toronto to offer the Zimmer Cryo Chiller technology, and we offer it to patients free of charge. 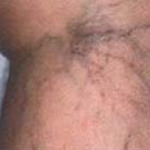 The cost of Spider Veins removal Laser Therapy varies depending on a number of factors. 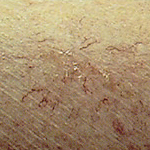 The size and location of Spider Veins, as well as the number of treatments required to eliminate them, are all factors that dictate the cost. The Laser Essential & Skin Care clinic always strives to offer the lowest prices of any Laser Therapy clinic in Toronto, and offers financing plans to make procedures affordable to all clients. Schedule a free consultation with Laser Essential & Skin Care in Toronto and learn more about how affordable and competitive our Spider Vein Removal treatment pricing plans are.